Financial markets worry about inflation. Fears of future price increases can cause stocks, bonds, and currencies to gyrate wildly. But measured inflation rests on a conceptually fragile foundation, and one that is highly likely to be redefined by the government agencies responsible for the calculations within the next few years. Investors should augment their inflation outlook with an understanding of the impact of global bond managers on the markets. The momentum that results from their changing outlook has become one of the major factors in bond market movements. One of the dominant tenets of economic analysis is that inflation is a direct function of economic growth, particularly as the economy approaches full capacity. Stronger demand for goods and services, it is said, give suppliers the opportunity to raise prices. Following this belief, central bankers attempt to achieve their objective of sound money by regulating economic activity through control of short term interest rates. For example, in early 1994, the US Federal Reserve made a “pre-emptive strike” against future inflation, raising short term interest rates by 3% over the next twelve months. Conversely, low measured inflation rates later allowed the Bank of Canada to pursue a very stimulative monetary policy. The most common method of attempting to understand long term interest rates is to view these rates as made up of two components: “real” interest rates, plus the rate of projected inflation. A cursory reading of post-war financial market history showed many observers in the mid-1970s, when inflation began to be problematic, that the level of rates could be disaggregated into the measured inflation rate, and a relatively stable component they called “real” since it was determined by the demand and supply of capital for “real” economic factors, like capital spending. In this theoretical model of rate determination, “real” rates fluctuate between 2% and 4%, and average 3% over the economic cycle. Nominal interest rates should be the sum of anticipated inflation and the “real” component. In corporate financial theory, although more loosely used in practice, business plans for expansion are always taken after assessing the cost of capital. If financing a project is more expensive than the expected return, no businessman would undertake the enterprise without support from the appropriate government purse. Both sides of the business decision embody assumptions about future inflation rates – their ability to price the product in the future and the cost of capital – which is a function of interest rates, and thus, linked directly to inflation. In this era of globalization, exchange rates are ever more important in determining flows and prices of goods and services. Although many forecasters have given up the attempt to project currency values, those who do most often rely on the concept of Purchasing Power Parity. The fundamental notion here is that relative changes in the rates of inflation between various countries should be a primary determinant of exchange rate movements. Perhaps less directly, and less obviously, stock prices also reflect expectations concerning future inflation, as a key component of the discount rates applied to expected earnings and dividends in the future. Bond managers and government policies can play a larger role in conceptually fragile inflation than investors realize. What is this Thing Called Inflation? Obviously then, a crucial job for financial market participants is understanding the factors which determine current, and much more importantly, future rates of inflation. But, what is this thing called inflation? Inflation is generally measured as the rate of change in a constructed price index over a one year period. In the major economies, the typical procedure is to construct a “basket” purchased by the “average” consumer and adjust the basket every ten years or so. There are substantial difficulties in defining these variables, with some arbitrary assumptions made along the way, but generally CPI measures are no worse than most economic estimates. Some of the conceptual difficulties in creating the basket include how to adjust for quality improvements, the changing composition of purchases, assumptions regarding rent or housing, and the role of taxes. There is also a political dimension to the inflation puzzle, which can have a big impact on how it develops. If economists believed the Consumer Price Indexes are overstated, future government spending (and therefore future deficits) would be much lower if inflation was actually lower the current measurement techniques suggest, since cost of living increases would have been built into all social security programs. A reduction of 1% per year in projected spending on social security would basically eliminate the likelihood of bankruptcy in the old age support program. Thus there is substantial political motivation to take the easy route to spending control by redefining the index. The conclusion is inescapable – too many aspects of our financial and economic world depend on a conceptually fragile foundation, and one that is highly likely to be redefined as time passes. Faced with these uncertainties, investors should be working to supplement their traditional approach to interest rate forecasting with assessment of the variables which most importantly affect global portfolio flows. A research consultant I once dealt with has demonstrated that price momentum plays a major role in the performance of world bond markets. His explanation for this phenomenon is that the traditional economic approach to interest rate forecasting has proven too imprecise to serve as the dominant tool. As it seems probable that inflation will be redefined to suit its political masters, investors should be placing more emphasis on the factors most likely to influence the activities of global portfolio managers. This means increasing the weight given to political, currency, and economic policy variables in consideration of whether, and when, the trends extant in the fixed income markets are about to change. Expected inflation will continue to play a role, albeit less important, in a forecasting process. 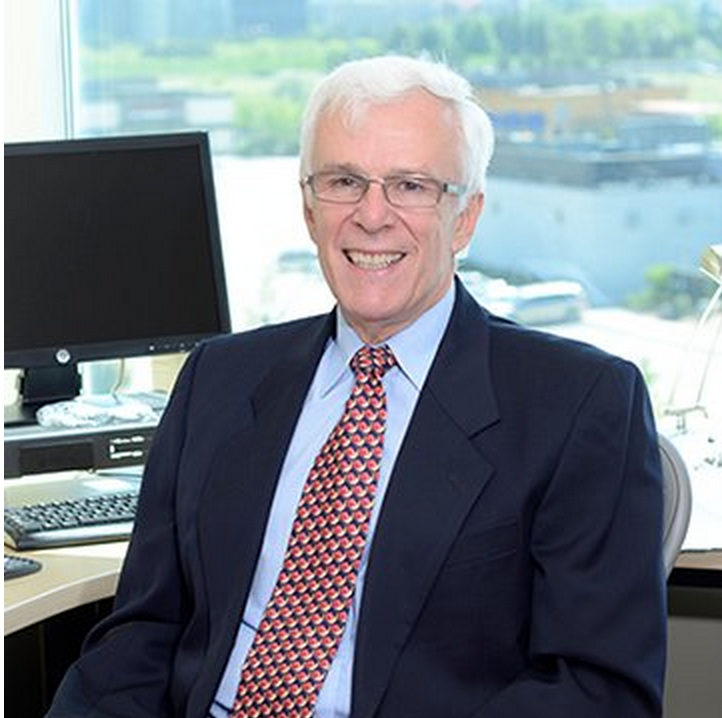 Following graduation from the University of Western Ontario in 1967 with an MA in Econometrics, Bob joined Sun Life Assurance as an equity research analyst. After two years of managing equities with Gerbro Corp., Bob joined the then fledgling TAL Investment Counsel. During his eighteen TAL years, his primary focus was global asset mix and debt markets. He was a major contributor to making TAL one of Canada’s largest and most successful money managers. In 1991, Bob was one of two entrepreneurs who created the Clean Environment Funds. In 1996, he joined CT Investment Management Group as Chief Investment Officer and then assumed management of the Asian portfolio. Bob completed his second MA in the History and Philosophy of Science and Technology at University of Toronto in 1992. Bob joined Canso in 2000 and his prime focus is the management of international portfolios. 1. What Are The Causes Of Inflation? 3. What is Monetary Policy? 4. What is Fiscal Policy?